Spoon cheesecake into a piping bag or large Zip Lock bag, and cut off the tip. 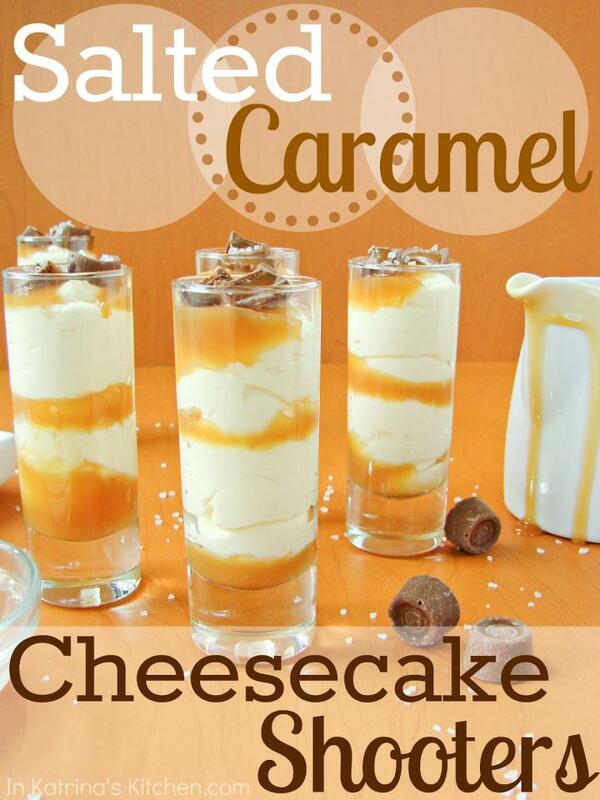 Layer caramel. salt, and cheesecake until you reach the top of your glasses. 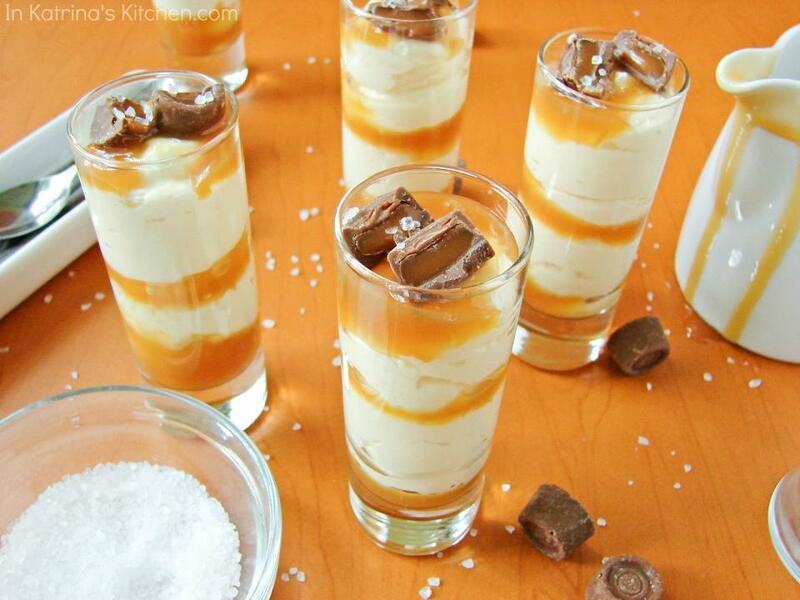 Garnish with chocolate chips or Rolos candy if desired.